Like many of us, you may have a large collection of tools in your home and often put these tools in a bag, a cabinet that was not made for tools, or perhaps a box that you pieced together with a nail gun from plywood leftovers. I know I did. While it’s obvious that there is a wide variety of storage options available (apart from our do-it-yourself setups), did you know that you can purchase a toolbox which is specially designed to store your tools—and often specific tools? We would not even consider using a homemade wooden box for our smartphones, so why not consider a customized option for your tools? This will not only help to streamline your work, it will also create a pleasant working environment and add lifespan to your tool collection. For those of us who have already made the move over to custom hardware storage, some choose to use the toolbox specifically so that their tools are more secure against accidental misplacement or even theft, not to mention that it keeps them organized. You can purchase this kind of container for any variety of reasons: to either save your repaired equipment, leftover or spare parts, store all the tools that can be inserted into the box—or do all of the above. So, what are the uses of the toolbox, and what are the types of the toolbox that you can use? Let us first discuss the usefulness of the toolbox and then we can go on to the types of the boxes available. There are so many kinds of tool boxes you can buy today that it would be next to impossible for us to discuss all of them. However, because of their wide availability, it is darn easy for you to find them, look them over, figure out the features, and match them up to your intended usage. As silly as it may sound, let’s define it. The word toolbox means something used to store any tools that you have, at home or otherwise. For example, you may have a wrench, screwdrivers, pliers, hammers, and so on. So, you can put all the tools together into a tool box, tool bag, tool cart, or the trunk of grandma’s car. Again, the application you have, alongside your budget, will help to determine the box that you buy or use. Why should you bother to store your tools in such a special way to begin with? First off, this is very important so that all of those tools are kept safe and in order. Even if you feel that you are familiar with your tools and their locations, you can separate some tools from others so that you are not confused or delayed while attempting to find it. 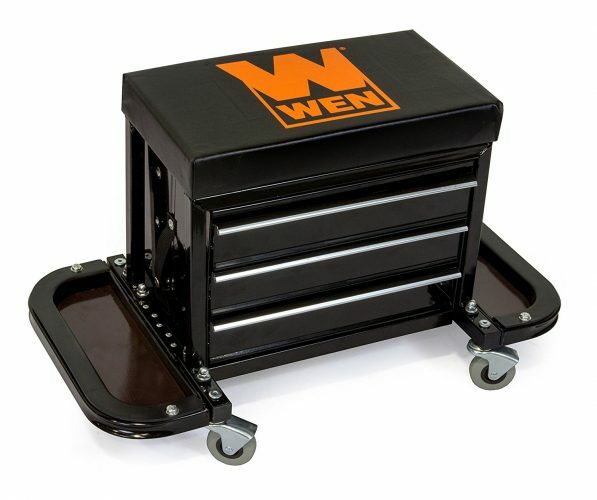 You can put your wrenches into a particular drawer that is available specially for them in the toolbox, while being able to put smaller hardware such as bolts, screws, or nuts in another drawer. By separating them, you will know where each one is kept, enabling you to quickly grab a wrench, screwdriver, or screws right there they are stored. Perhaps, if you are like I used to be (and many others still are), you always put all your tools in one place so they look more like an abstract work of art than a tool cart. Certainly, you will find it difficult to find your tools quickly—if at all—because all of the tools are mixed up in one place! Take it from me personally: I grew up with what I call “DOD.” –Disposition of Disorganization. For a long time, I basically used my tools of the trade—mechanical, electrical, and artistic alike—by the seat of my pants. After years of lost tools, wasted money, and frustration, I finally learned the much-needed lesson of proper organization and storage. I strongly recommend you and everyone to use a toolbox to make your things safe, secure, and organized! Well, let’s now talk about the availability of the tool box or tool chest that you will buy. If you decide after all that you will buy a toolbox, then you should know the usefulness of each of the toolboxes that are available. Since there are so many options of the toolbox that you can choose to store your things, so you have to educate yourself a bit in order to choose the proper one. Suppose, for example, you specifically want to store your mechanical tools, then you should buy a tool box on wheels. This is a great way in which you can bring all your stuff without having to lift them because basically these tools are quite heavy. You just need to push the box wherever you want. The type of tool box on wheels also has various designs. Some of the boxes are not designed with drawers so you can put large objects into it. But this kind of tool box is not suitable for mechanical tools because you would be experiencing difficulties in finding the tools that you need after storing it. 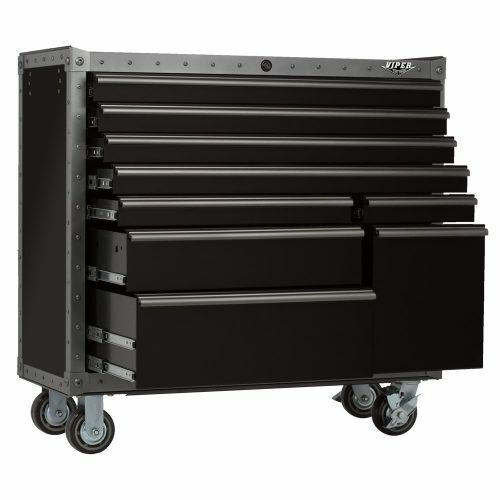 Therefore, you should choose a tool box on wheels with drawers to save all of your mechanical tools not only neatly, but also making them accessible anywhere within your work radius. In some types, there are also tool chests that are not equipped with wheels. It is called a fixed tool chest, which looks more like a cabinet than anything. Perhaps, it can be called a cabinet which is designed specifically to store tools, with the added benefit that you need not worry about your wife taking up all the room with her pink shoes. Besides that, the size can be even bigger so that you can load a tremendous amount of tools in it. You can put this type of tool chest on your wall, fix it to the wall or, if you like, leave it free-standing so that it can be more easily moved later. Keeping a tool cabinet like this affixed in one location means that you can take your tools at any time, whenever you want, because you know exactly where they are and will always be. As a result of this centralization, this type of tool storage cuts down on lost tools, creating a sort of tool hub. However, due to the fact that this would be your primary work space—and possibly several others, depending on your application—you should take the time to properly arrange your tools in the box first. In many designs, you can even take advantage of the door to put the tools. You can put an ax, hammer, wrench, screwdriver, pliers, and much more inside, or even outside, the box. So, which one is better between the toolbox on wheels or fixed tool chest? We can say that both of them are good and convenient to use, each respectively having its own unique advantages and disadvantages. The fixed tool chest is good because, while it is fixed, it can load so many tools at once due to its big size, centralized location, and dependability. Meanwhile, the tool box on wheels is good because it is movable, which allows you to move it to or closer to where you are working, creating convenience with its portability. However, it typically has a much smaller size that cannot load as many tools as a cabinet. There are a variety of rolling tool boxes that you can buy and their prices differ greatly. These prices depend on a few factors, such as the name brand and/or quality of the box itself, where you buy it, the features it offers, the size, the weight (if having it shipped), and availability (in some cases). However, we do not consider this tool chest for sale to actually be expensive to buy. Some of the rolling tool boxes today are offered up at only $100. 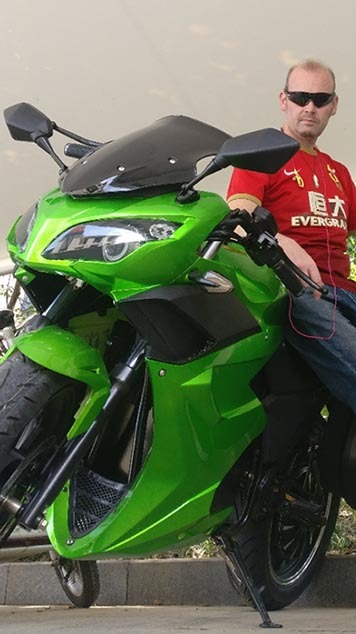 Of course, another reason to consider spending some cash on a nice place to put your tools is that they will not only look neat and be arranged, but you will receive ongoing gains in productivity and efficiency with the time you save looking for the right tool. Furthermore, this stuff has no expiration date, so you can essentially buy it once and use it forever, given normal use and/or quality/warranty. So how can you get one of these items? Nowadays, shopping can be very easy because you can purchase anything online, even if the size may seem too big. So, you can buy a toolbox online at retailers such as Amazon, if you do not find it at some hardware or DIY stores in your city. We personally locate most of our tools and personal items online and always use trusted retailers with whom we have a good history. Buying a tool chest, tool cart, or tool box to store your important tools is good idea and makes sense on many levels. When we do not store our belongings or tools in a proper place, we may lose some of those tools because we do not keep them correctly. By using a rolling tool box, you can store some of your mechanical tools such as a wrenches, pliers, screwdrivers, etc, as well as more advanced and valuable tools such as cordless impact wrenches, drills, or drivers. Instead of only making your tools safe, your tools will also look neat, be arranged, in place, and ready to use. So, just as a library protects and organizes a scholar’s treasures, we recommend you to choose a toolbox cart or a fixed tool chest for your custom application—it’s always best to be organized!